Everyone has a different idea of what a “perfect” and “happy” relationship is like. Not all relationships are the same, but having an idea of what makes a healthy relationship is important. 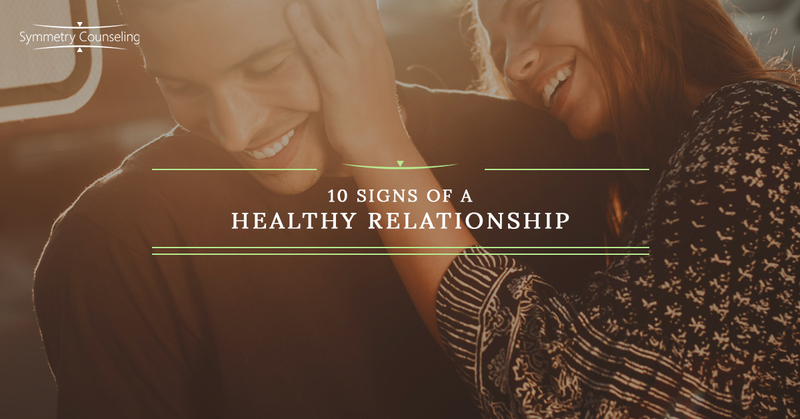 This blog will provide you some ideas of what a healthy relationship can entail of. Comfortable Pace. Make sure that you are not rushing the relationship due to a “timeline” that you might have for yourself. Making sure that you are taking the time to get to know your partner on a more intimate and special level than just rushing the relationship to obtain your goal for relationships. Trust. Work on earning their trust at the very beginning of the relationship. Not being the overbearing partner who is always wanting to check their phone to see who sent them a text message. Allowing your partner to have faith in decisions that you make and vice versa is very important. Honesty. Be open and real with your partner. Do not judge them by what they are saying to you or how they will respond if you say something. Have good communication so that both parties can feel like they can talk about anything. Independence. Do not over-crowd your partner. Remember that they had friends before you came around and allowing them to do things with their friends without you is important. At the beginning of the relationship, both of you might want to spend a lot of time together, but really allow yourself the space and ability to do what you both enjoy without each other. Respect. Respect each other to an extent where both people feel comfortable. Believe in their values and opinions. Help them achieve their goals and dreams. Equality. Making sure that both of you are feeling heard and are on the same level throughout your relationship. Both of you should put extra effort in making sure that no one is above the other. Compassion. Being kind to each other and caring for each other. In a healthy relationship, both parties are understanding and supportive throughout the relationship. This does not have to be only during tough times, but throughout the relationship. Taking Responsibility. You are responsible for your own words and actions. Making sure that you take responsibility for what you say and do. Do not put blame on your partner, but make sure that you are able to stand up for what you said. Loyalty. This is a part of a healthy relationship that is not really talked about-but just known and felt. Your partner will stick up for you in times of distress and doesn’t pick sides in an argument. Being able to make sure that your partner is there for you most of the time is very important. Communication. Big part of a relationship is communication. Being able to talk to each other openly and honestly is important. This includes communicating about the good and the bad and things that people do not want to talk about. Remember that there is no “perfect couple” but they have been working on themselves and are utilizing this list (and others) to make sure that they are working towards a healthy relationship. There is always space for improvement, so even if you feel like you have a very healthy relationship, see what else you can do to make it even healthier. If you feel like you are struggling to be in a healthy relationship, contact any of our individual therapists or couples therapists to help you find that healthy relationship.